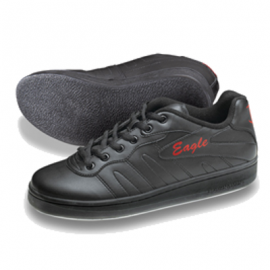 The most popular curling shoe worn by highly competitive and professional curlers. The Delux is the only welted constructed curling shoe in the world. This shoe, in our minds, is a perfect symbol of the commitment we have to the sport as avid players and spectators of the game. 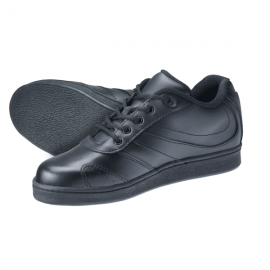 The Delux offers the best quality in curling footwear available anywhere. 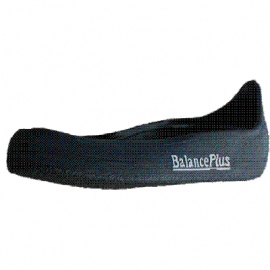 We have searched and researched the industry to find the perfect shoe for our already renowned BalancePlus® Slider, and the results of that effort are shown here. We are very proud of the shoe, and feel that you’ll be just as excited about it each time you slide. This shoe, in our minds is a perfect symbol of the commitment we have to the sport as avid players and spectators of the game. 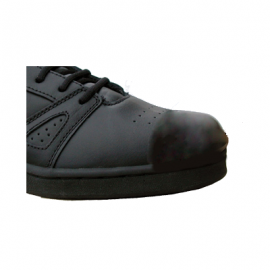 The Delux offers the best quality in curling footwear available anywhere. 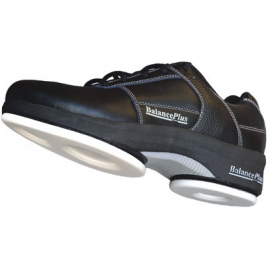 We have searched and researched the industry to find the perfect shoe for our already renowned BalancePlus® Slider, and the results of that effort are shown here. We are very proud of the shoe, and feel that you’ll be just as excited about it each time you slide.